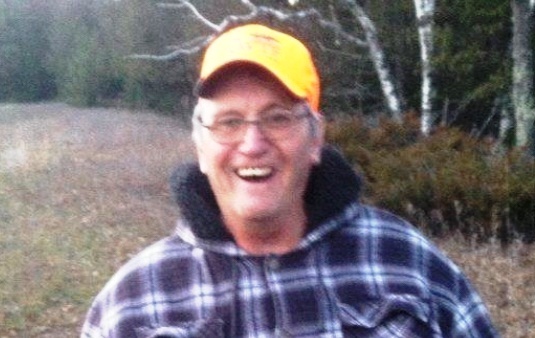 Leroy James Brazeau, age 71, of Gladstone, passed away Saturday evening, May 12, 2018, at St. Francis Hospital in Escanaba. Leroy was born March 13, 1947 to Oliver and Violet (Dieter) Brazeau and was raised in Escanaba by Henry and Anna Mae (Peltier) King who were known as Leroy’s parents. Leroy was a 1966 graduate of Holy Name High School. In December of 1966, Leroy enlisted in the United States Navy where he served during the Vietnam War. While in service, Leroy received medals of commendation which included the National Defense Service Medal, Meritorious Unit Commendation, Vietnam Service Medal with Two Bronze Stars and the Vietnam Campaign Medal with Device. In May of 1969, Leroy was proud to have served aboard the USS Princeton on the historical recovery mission for Apollo Saturn 10. Upon his honorable discharge in 1970, Leroy returned home and was united in marriage to the former Judy Switzer on December 18, 1970 at St. Charles Church in Rapid River. Together Leroy and Judy made their home and raised their family in Escanaba. Leroy loved to go hunting. In his later years he was a member of the “Wheelin Sportsman” and was successful in bagging several bucks. He was also an avid Detroit Lions fan but especially loved cheering for his grandchildren at their sporting events. Leroy is also survived by his great grandson Frederick and 1 great grandchild on the way in addition to his many nieces, nephews and cousins. Leroy was preceded in death by his parents, Oliver, Violet, Henry and Anna Mae and his brothers, Mark King and Harold Brazeau. Family will receive friends on Thursday, from 2:00PM to 4:00PM, at the Skradski Funeral Home in Gladstone. Military rites will follow visiting hours, at 4:00PM on Thursday, at the Skradski Funeral Home in Gladstone, with the Gladstone American Legion August Mattson Post #71 presiding. Mass of Christian Burial will follow at 5:00PM on Thursday, at All Saints Church, with Rev. Fr. Brian Gerber officiating. Luncheon will follow in the All Saints Parish Hall. Leroy will be laid to rest in the Fernwood Cemetery. The Skradski Family Funeral Homes of Delta County are assisting with arrangements. Memorial contributions in Leroy’s name may be directed to The Wheelin Sportsman. Envelopes will be available throughout visitation. Was so sorry to hear about LeRoy passing. He was a part of the family for many years and was loved as such. We will miss him dearly. Our thoughts and prayers are with all of you and may God bless and comfort you at this time. Leroy will be missed. We loved him and our little saying””Leroy what’s for supper”. Prayers to the family! My condolences to his family. I remember Leroy very well from the Flat Rock School, and saddened by the passing of another classmate whom I enjoyed my time with. Rest in peace, Leroy. Judy and family our prayers and thoughts are with you all at this most difficult time! Cherish the fond memories you all shared. Steve and I will forever cherish smelt season, cards at John’s, and the continual laughter around the kitchen table. Rest In Peace Leroy and may God Bless you Judy and your family over such a loss of a good man.